Have you been having so much fun driving your MINI around Kent and Des Moines that you forgot to find an auto mechanic? Before you despair, realize that the auto repair technicians at Premier Automotive Services have got your back. We’d like to be your go-to shop in the Kent and Des Moines area for all your MINI service needs. 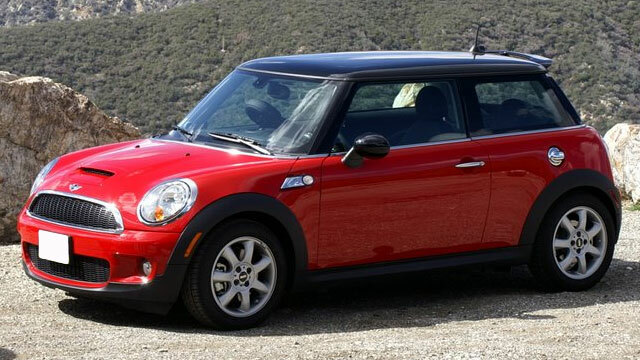 Nearly every person with a MINI seems to describe it with one word: “Fun.” People love how sporty and zippy they are! We appreciate how much fun the MINI is to drive, and will get you back on the roads of Kent and Des Moines before you can say “The Italian Job.” By the way, that’s a really entertaining movie with lots of exciting chase scenes starring the MINI. Our auto repair experts at Premier Automotive Services want to ensure that your vehicle is safe before you leave our shop. Why bring your MINI to Premier Automotive Services? Our customers can’t say enough about our honest, straightforward approach. Our owner, Ryan Hoover, has worked in auto repair since he was 18 years old. He knows the automotive industry inside and out and has seen quite a few MINIs along the way. We are true to our word and will do the repairs we say we’ll do for the price we say we’ll do it for. “Best, most honest repair shop in Seattle, get this ladies and gentlemen, they even give 2 years warranty, yes 2 years warranty on parts and labor. Now that is rare for repair shops these days. For my money, I can not say enough.” -- Michael M.
Our technicians at Premier Automotive Services would love to service your MINI. Our guiding principle is to take care of our customers first. Why not schedule an appointment today? We are conveniently located at 25009 Pacific Hwy S, Kent, WA 98032. Our hours are 8:00 AM - 5:30 PM, Monday - Friday.